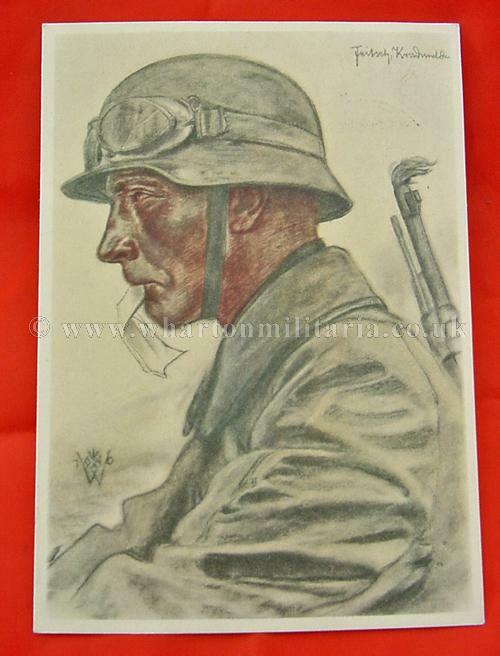 Wolfgang Willrich - Dispatch Rider VDA Issue with SA stamp and frank dated 1942, frank is for the SA-Wehrkampftage 1942, 11th October 1942. 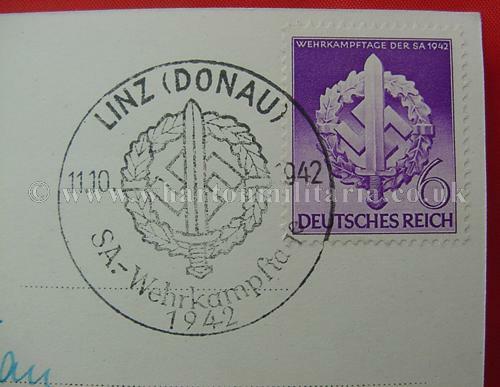 A collectable card in excellent condition with an interesting franking and stamp. 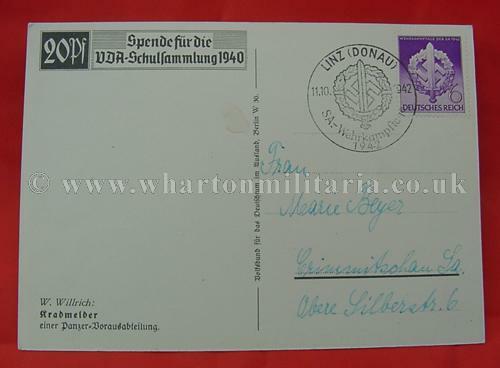 Postcard has delivery address only, no message, quite common for those simply sending postcards from events for the franking, similar to the first day covers of today.